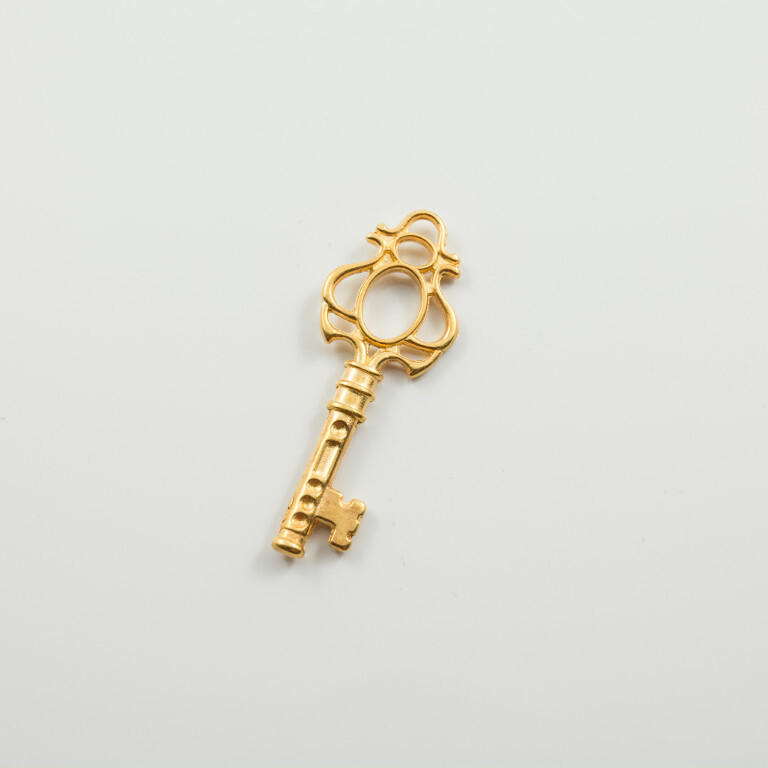 Metallic key in golden colour. Ideal for charm decoration. Dimensions 1.6x4.5cm.